This wee loop from Posh Mommy provides the perfect backdrop for a personalized piece of jewelry in honor of a wee little one (or more). 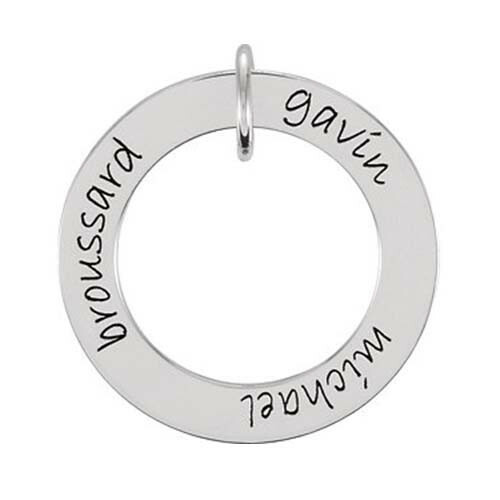 Crafted in sterling silver, the one-inch open circle will accommodate engraving of up to three names. The pendant hangs from an 18" chain. This necklace is bound to become one of her most-word and most-prized possessions!